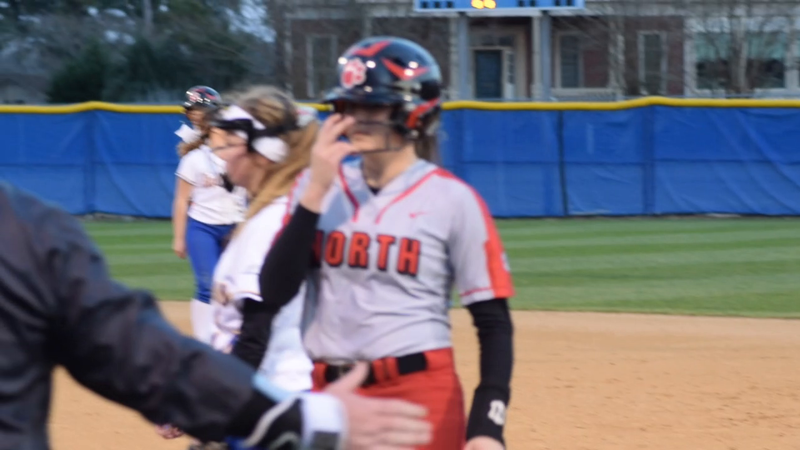 PRINCETON — The Princeton High varsity softball team capitalized on North Johnston High’s mistakes to win at home Friday, 2-1. The Lady Bulldogs got two runs in the first inning, kick-started with a walk to Riley Whitley and an error to put Hailey Woodall on, to win their fourth straight after a season-opening loss. After a strikeout, LeOnna Nelson walked to load the bases with one out. Singles from Meredith Wooten and Reanna Braswell scored two runs. “First inning, we give up two walks, two runs and that’s the only two we give up all night. After that, we didn’t make any mistakes defensively,” said North Johnston head coach Chris Batten, whose team dropped to 3-3. The Lady Panthers would make three more mistakes on the base paths at third base in the second, fourth and fifth innings. All three of the errors were being too aggressive in running to third. Batten said all of the mistakes cost his team the game, because Princeton’s Gracelyn Massey pitched a good game. “In a game like this where she’s throwing the ball and they’re making plays, you make two mistakes on the mound, two huge base-running mistakes, you take yourself from a 3-2 lead and the pressure is on them to the pressure is on us,” Batten said. Massey was the winner in the circle with seven innings pitched, six hits allowed, one earned run and two walks. The defense behind her made one error. Amberlynn Pearce took the loss while pitching six innings, giving up four hits, two walks and two earned runs. Pearce also struck out eight batters. WP-Gracelyn Massey 7 IP, 6 H, 1 R, 1 ER, 2 BB, 5 SO. LP-Amberlynn Pearce 6 IP, 4 H, 2 R, 2 ER, 2 BB, 8 SO. LEADING HITTERS — Princeton: Meredith Wooten 1-3, RBI; Reanna Braswell 2-3, RBI. North Johnston: Blayke Batten 1-2, BB, R; Amberlynn Pearce 2-3, 2B, RBI.